It’s over. Samsung is permanently ending production of its Galaxy Note 7. Just a day after the Korean giant halted sales worldwide of the exploding phone, Samsung has elected to stop production of the troubled device altogether. In a statement filed with the country’s stock exchange late Tuesday, Samsung said it had made a “final decision” to stop production. 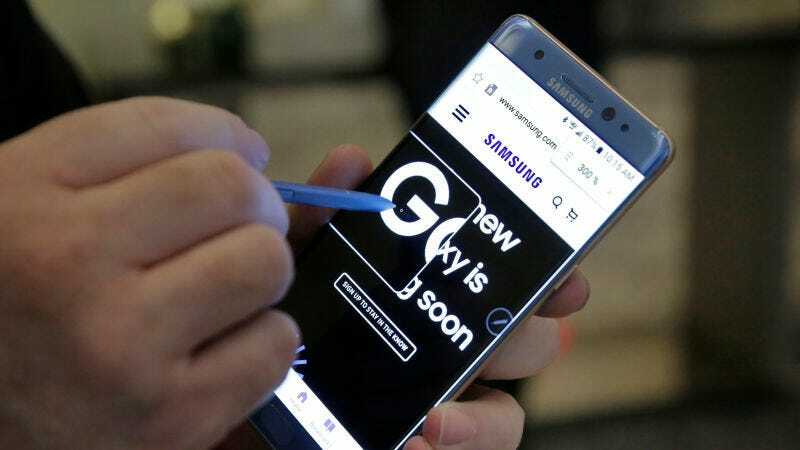 That means the company will no longer produce or market the smartphone, said the person, who spoke on the condition of anonymity because Samsung did not publicly disclose further information about the decision. Samsung issued a subsequent statement to CNBC and Gizmodo, confirming that the Note 7 will no longer be produced. For the benefit of consumers’ safety, we have stopped sales and exchanges of the Galaxy Note 7 and have consequently decided to stop production. The permanent end of production starts to the process of closing one of the most embarrassing and unprecedented events in consumer tech history. Just over a month ago, Samsung delayed shipments of its flagship handset, after reports that units were catching of fire spread in Korea and parts of Asia. This was followed by a voluntary recall, which became a federally orchestrated official recall one week later. Within one week of the official recall announcement, Samsung had started its official exchange program in the United States and some other countries. But the problems didn’t stop. Within a week of replacements being issued, reports of exploding “fixed” devices started to surface too, including one on a Southwest flight. Since last week, there have been five additional cases of exploding replacement Note 7 devices, which led to halted sales and exchanges by all major U.S. wireless carriers. If you have a Galaxy Note 7 device, regardless of when it was purchased, you should return it to your carrier or retailer immediately. There are plenty of great phones on the market, and there is no need to risk your safety or the safety of others. Since the affected devices can overheat and pose a safety risk, we are asking consumers with an original Galaxy Note7 or a replacement Galaxy Note7 to power it down and contact the carrier or retail outlet where you purchased your Galaxy Note7. If you bought your Galaxy Note7 from Samsung.com or have questions, you should contact us at 1-844-365-6197 and we can help you. 2. Contact your point of purchase to obtain a full refund. Customers who exchange a Note7 device will also receive a $25 gift card, in-store credit, in-store accessory credit or bill credit from select carrier retail outlets.